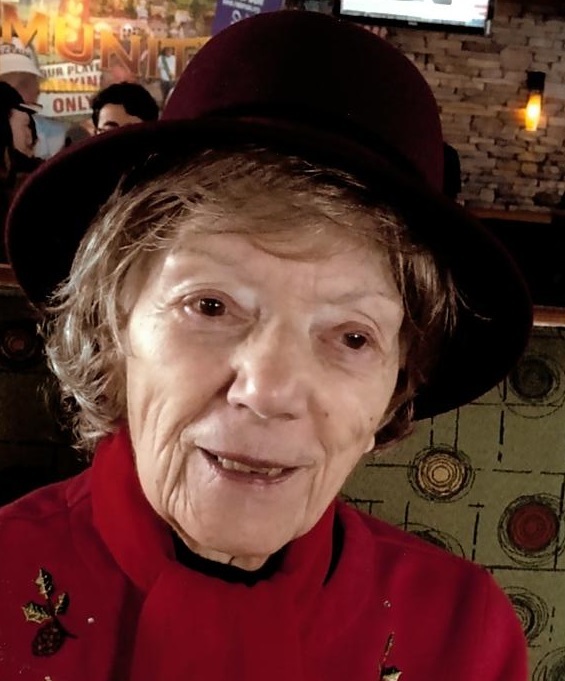 Carm Dingman Chauncey, 93, went to be with her Lord and family whom have gone before on Dec. 3, 2018. She was one of ten children of Italian immigrants. She graduated Bainbridge High School at a time when many women didn’t. She went on to work as a bookkeeper for EJ Shoes and then started K&C Garage with her husband. After retiring, she kept busy with working for the Board of Elections during election season and volunteering at the Maine Federated Church in Maine. For a lady who came from a simple background, she accomplished a lot in her life. She was the President of the Gas Station Association, member of Easterno Star and Post 1390 American Legion. Carm and Ken started Maine Nanticoke Valley Little League in their yard in the early 50’s and were actively involved as President of the board or sponsors of a team for several decades. She is Predeceased by her parents, Anthony and Rosie Delello, eight brothers and sisters, first husband Ken Dingman Sr and second husband Clarence Chauncey. She is Survived by her son, Ken “Butch” Dingman Jr (Linda), Stepsons Doug (Tammy) Chauncey and Jerry Chauncey. Grandchildren Kandee Wenrich, Staci (Jim) Traffas, Ginger Bridges, Allysa and Ryan Chauncey. Great grandchildren Landyn and Braedyn Traffas, Dallas Wenrich, Schaye and Gavin Bridges. Many thanks to her extended family at Ideal Senior Living Center for the care, compassion and kindness shown to Carm. Carm was a giving woman and in lieu of flowers would request that you “pay it forward” to a charity of your choice. A service to celebrate her life will be held on Friday December 7, 2018 at 12 Noon at the Barber Memorial Home, Inc. 428 Main Street Johnson City. The family will receive friends on Friday at 11am until the time of the service.